Defensive Player of the Year! 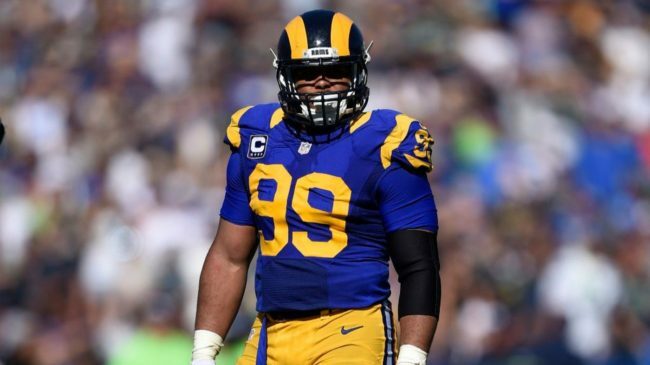 Los Angeles Rams defensive tackle Aaron Donald will go home with at least one trophy this weekend. The NFL named Donald as the league’s Defensive Player of the Year on Saturday, February 2. Donald became only the third player to win consecutive award honors. The 2014 first round pick recorded a NFL-record 20.5 sacks for an interior lineman. He also compiled a combined 59 tackles, including a league-leading 25 tackles for loss. 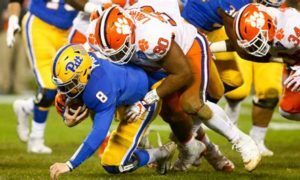 Donald accomplished this despite being double-teamed on 61 percent of his pass rushes, according to ESPN Stats and Information. His 20.5 sacks also broke the Rams’ sack record. Donald’s dominant performance put him in contention for the NFL’s Most Valuable Player of the Year Award for much of the 2018 season. The 27-year-old Donald earned his fifth Pro Bowl berth and fourth First Team All-Pro honors. There were serious questions over whether or not Donald would even be on the field this season with his contract in question. 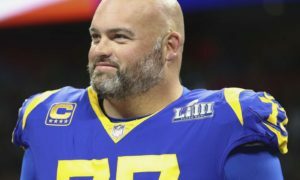 Instead, the Rams and Donald reached an agreement to make him the highest paid defensive player in the league at the time. 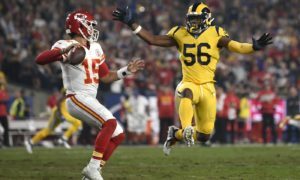 Now his NFC Champion Rams will face the AFC Champion New England Patriots in Super Bowl LIII at 3:30 p.m. EST on Sunday, February 3.